Microsoft re-orgainzes but where's the design guru? A few days ago I had put out a post on Microsoft's attempt to make itself relevant again. Microsoft is still a larger than life entity in the tech world but looking forward five years, ten years or twenty years from now, I pondered on whether they will still be able to carry the same sort of clout as they have for the last thirty years. Microsoft has lost a number of senior people who were responsible for some fairly major projects including those heading the Windows and gaming divisions of the company. Then on Thursday, Microsoft announced their reorganization and they shifted the focus back onto unifying the company. Moving from a product centric structure and it has organized itself around specific functions. That means engineering, marketing, business development, advanced strategy & research, finance, HR and operations get centralized for all product groups. according to many industry experts. Let's hope this changes now. While I hope for Microsoft this is the right step forward, it was starting to clone the way companies like Apple today operate. That is except for one significant difference, there is no apparent design guru waiting in the wings at Microsoft. Sir Jony Ive at Apple is the Senior VP of Design and responsible for the hardware and software design of the products we see today. Over at Nokia, Marko Ahtissaari heads their design unit where details such as hardware design, packaging and software come under his purview. 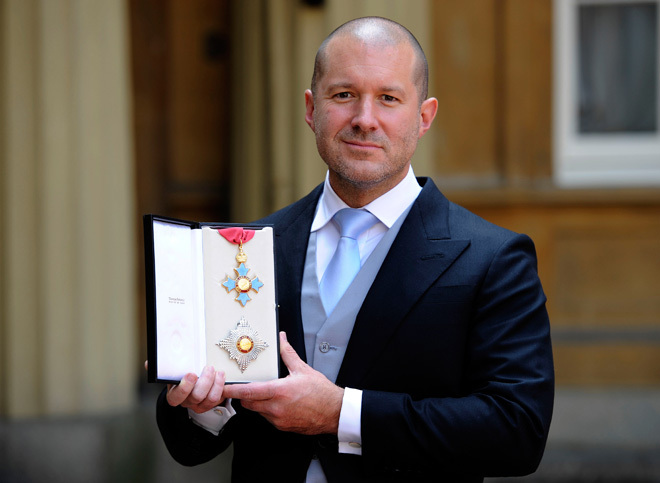 Apple design chief, Sir Jony Ives after being knighted. In Microsoft's case, this still looks to be a divided function and if Microsoft wants to be the company that inspires us going forward, a design guru is a must. The UI changes that Microsoft implemented with something like Windows 8 have been radical and this has been a problem with many users who failed to understand it. Sir Jony Ive is battling the same issues with iOS 7 on the iPhone where he has also been vary of the fact that if you change too much, you risk abandoning the masses. So Microsoft, if you're listening, centralize your design team and give us a design guru who can reach the same sort of cult status as Sir Jony. Once the behemoth of the tech industry, Microsoft has spent the last couple of years on the ropes as they struggle to make themselves relevant going forward. Microsoft's staple product till date have been their operating system (Windows) and productivity products (Office). Over the period though, we've seen Microsoft make themselves important in various other arenas whether it be in browsers (Internet Explorer) or gaming (Xbox). The tech industry though changes very fast and while Windows and Office will still continue to be the bread winners for Microsoft going forward, they've found it extremely challenging in some of the businesses that should have been a part of their future. The major threat that Microsoft has seen has come from the fact they weren't the company leading the smartphone or tablet revolution, whether it be with operating systems, browsers, search capabilities, location based services, cloud storage, gaming or even hardware. Microsoft has been assuring us they will come back but when two senior executives leave a company shortly after announcing or releasing products that are supposed to be bring the company back, you have to wonder, has Microsoft seen their best days? Sinofsky at the Surface tablet launch. Steven Sinofsky was President of Microsoft's Windows division from 2009 through to November 2012 just days after Windows 8 was released. Sinofsky had joined Microsoft in 1989 and was responsible for products such as Windows, Internet Explorer, Outlook.com and SkyDrive. If Sinofsky was confident that Mircosoft had got it right with Windows 8 and the other ancillary services that make up a mobile, tablet or desktop operating system in 2012, you would've expected him to stay to enjoy the rewards of his hard work. Instead, he released the product and left. Since then we've seen Microsoft struggle to sell PC's, tablets or smartphones. Ex-Microsoft Xbox chief, Don Mattrick. Don Mattrick was President of the Interactive Entertainment Business at Microsoft till July 1, 2013. Just a month earlier, Mattrick was on stage at Microsoft's keynote event that took place alongside the E3 gaming exhibition where he revealed to the world the new Xbox One. This was to be Microsoft's next generation gaming console and the product that would establish Microsoft in the centre of the living room going forward. Why then would someone in such a senior position leave before the product could even launch commercially? Mattrick has instead taken over the reins of social gaming company Zynga (which he looked to buy when he was at Microsoft), which itself has been struggling of late but where Mattrick obviously sees a brighter future for himself then he did as head of Microsoft's gaming empire. A company doesn't revolve around two people but if Microsoft says they're going to be as important in the future as they've been in the past, seeing departures when key products are announced or released is worrying. Steven Sinofsky and Don Mattrick have probably escaped before they could be made scapegoats. Just as we saw IBM have to reshape themselves several years ago, companies like Microsoft will have to do the same. Microsoft has had their share of failures whether it be their Zune music player or their Kin smartphone but a company today is applauded when they take a bold step to say they're going to focus only on what they do best. In the case of Microsoft, they've got their hands in too many pies and if they were to refocus their efforts on doing what they are good at, we can probably see Microsoft bounce back like IBM did. Steve Ballmer is due to announce some management changes some time in July and I'm hoping a lot of this revolves around sticking to the core business. With as many imitators as there are out there, no one does a spreadsheet program the way Microsoft does Excel and if they can continue to innovate where their strengths are, I'm sure we'll continue to see Microsoft dominate a particular space of the tech business moving forward instead of trying to be everything to everyone in tech. Update (13 July, 2013) - Microsoft announced their reorganization and another post with regards this was written. You can find it at this link.